Starburst™ mixes many vibrant colours in a galactic arcade atmosphere. For players that enjoy high paced energizing slots, Starburst™ is the perfect game as it offers many fun features that make game play an experience unforgettable. The action begins with 5-reels, 10-bet lines and the featured Starburst™ Wild. Traditional Wilds are replaced with an innovative new Starburst™ Wild. Starburst™ Wilds appearing on reels 2, 3 or 4 expand over the entire reel and remain in place for up to 3 re-spins, at no extra cost to the player. The possibilities for huge wins with Starburst™ Wilds are astronomical! 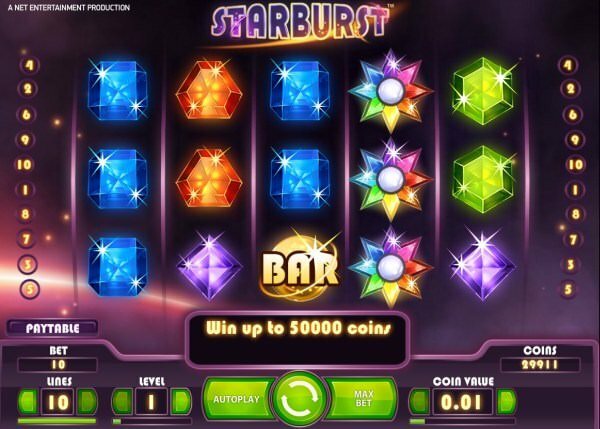 Starburst™ remains till date the most popular and most played NetEnt Video Slot Game. 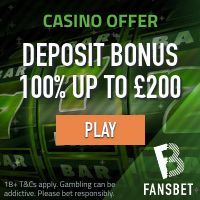 Sponsored: 25 No Deposit Free Spins on Starburst Slot at Get Lucky Casino! Starburst™ Wild symbol substitutes for all symbols. 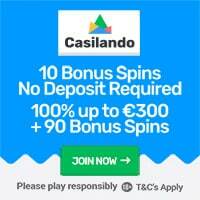 Click here to get no deposit Free Spins on registration at Casino Room! No deposit free spins on Starburst Video Slot!